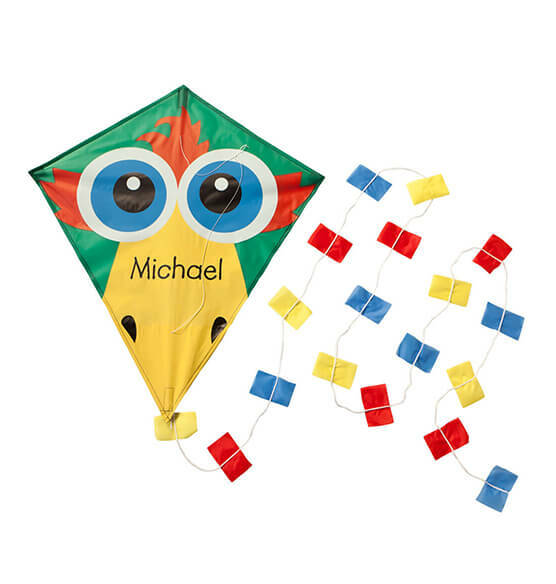 Satisfy the flying wishes of an active child with our traditional diamond shaped personalized Bird Kite. Crafted of strong vinyl secured to a sturdy plastic frame, the colorful bird beak and eyes look great in the air or while hanging on a bedroom wall. A long kite tail flutters with colorful squares for added visual appeal. 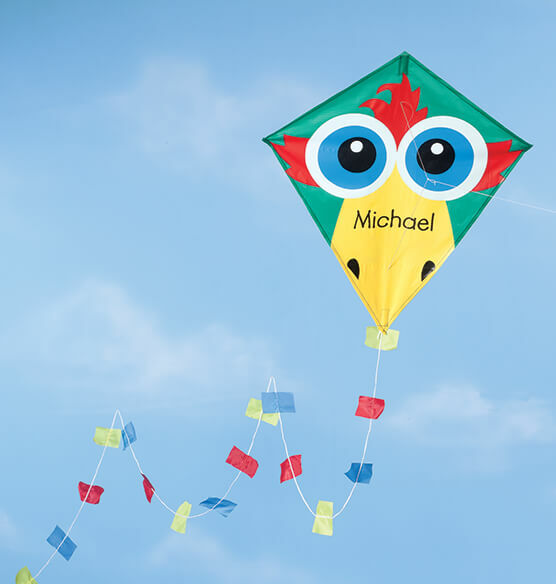 Personalize this fun kite with the flyer's first name for a winning gift. Specify name; limit 1 line, 10 letters/spaces. Because it’s classic, affordable, and can be personalized. The website was also very easy to use and I didn’t get frustrated.